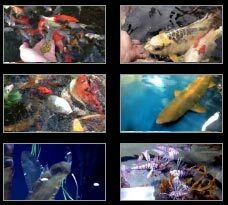 These high quality Pond Cover Tents outperform traditional pond netting in many ways. 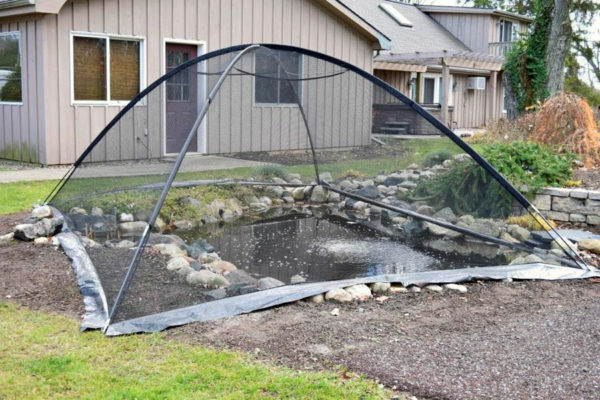 First, and most notably, the unique dome shaped design prevents the net from sagging into the pond like typical netting when loaded with heavy, wet leaves, making leaf removal very difficult. When leaves fall on the Pond Cover Tent, simply fall to the side of the pond cover tent, where they can easily be collected. Second, the cover is made with strong 3/8″ nylon fine black mesh netting. This netting will keep small leaves from getting into the pond. Plus, this netting is very durable and will last for years. 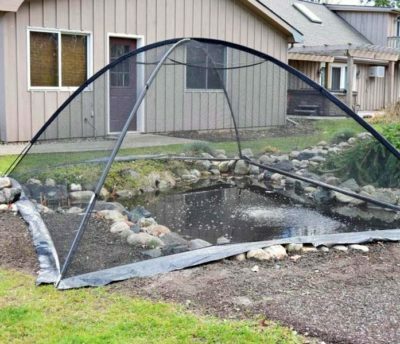 Lastly, the pond cover tent can be easily set up and installed in minutes with just 2 people, and easily removed when pond maintenance is needed.